GB 2007-2008-2009 PRESENTATION PACKS INDIVIDUALLY PRICED IN EXCELLENT CONDITION. GB 2004-2005-2006 PRESENTATION PACKS INDIVIDUALLY PRICED IN EXCELLENT CONDITION. 2008 Royal Mail Commemorative Presentation Packs. Each sold separately. 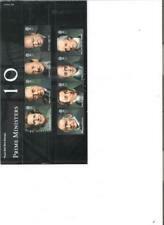 2006 Royal Mail Commemorative Presentation Packs. Each sold separately. 2007 Royal Mail Commemorative Presentation Packs. Each sold separately. 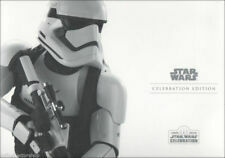 2009 Royal Mail Commemorative Presentation Packs. Each sold separately. ENGLAND MINIATURE. UNMOUNTED MINT. SHEET SGMSEN19 IN. Miniature Sheet. Mint and never hinged. Issued 23rd April 2007. ALL THESE IMAGE CAPTURE THE SPIRIT OF ENGLAND. 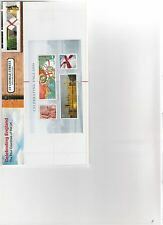 GB 2007 CELEBRATING ENGLAND PRESENTATION PACK No.M15 SG MSEN50 MINT STAMP SHEET. In very good original used condition. GB. 2007 MS EN50 MINI SHEET "CELEBRATING ENGLAND" MINT. GB 2009 CELEBRATING WALES SG MS W147 PRESENTATION PACK No.424 MINT SHEET SET. Collections/selection lots are sold as is for the simple reason they are unchecked or catalogued, I would not know what was in them. up to 250g's. I use 1st or 2nd class. Mint Set of 4 Mint Perfect. Sorry No Checks Or Money Orders. UK:- 2nd Class Add £1.30. Recorded Add £2.40. Good Condition. GB 2008 Celebrating Northern Ireland Stamp Presentation Pack no 410. NO M14 UNMOUNTED MINT. SCOTLAND MINIATURE. Take a look at the photographs and see for yourselves.